Dark Matter lets you add feedback to any signal, whether you want to use that as a bit of color, create rhythmic effects, or go completely wild. 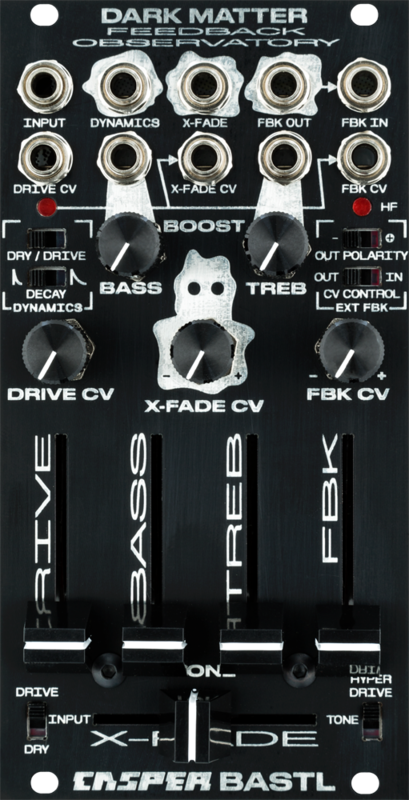 And since it is designed with the inspiration of zero-input mixer technique in mind, you can also use it as a signal source – a kind of feedback oscillator. 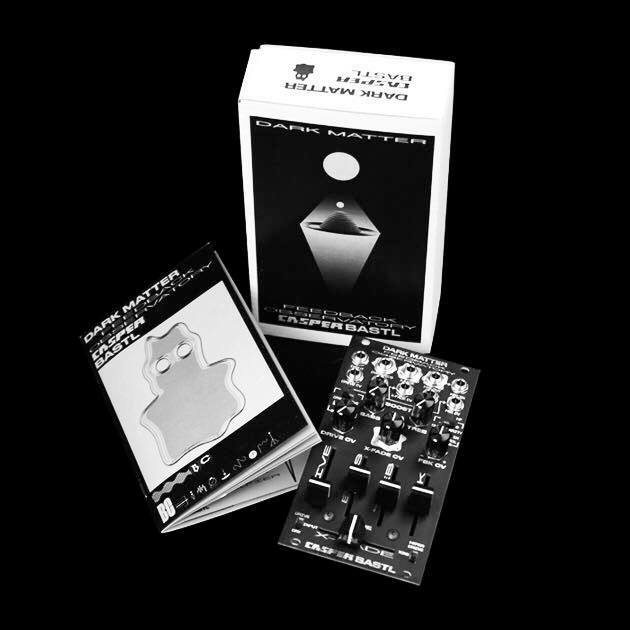 Feedback by definition is about signal routing; Dark Matter runs with that idea and create an instrument around patching and shaping feedback in a modular environment. 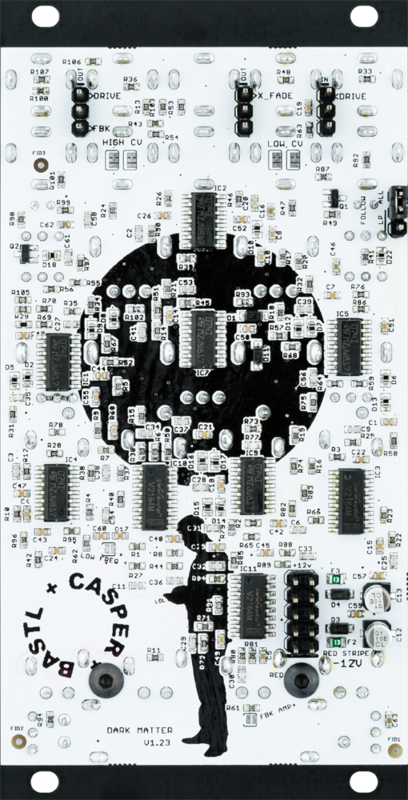 It’s a new collaboration between Bastl and Peter Edwards, following their softPop instrument (and Peter’s own long-running Casper Electronics). There are different kinds of overdrive. You can add sub-octave tones and other colors. There’s a built-in 2-band EQ (so highs and lows get separate control) – and that has overdrive, too. On the rhythmic side, there’s a built-in envelope follower for ducking and gating and the like. This is why I like to think of audio feedback as sort of the negative space around a sound, like a sonic shadow. A dark counterpart. Embrace the darkness, and dive into the void of feedback. Uh… oh yeah, tech specs. 265 EUR excl. TAX from Bastl’s own noise.kitchen and select retailers, available now.